We are sneaking in 2 of my secret mix-ins in these homemade burger patties. 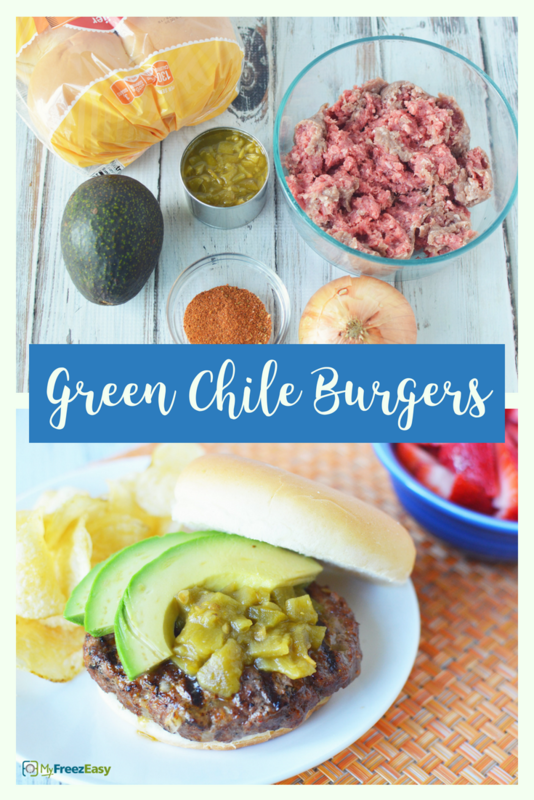 And then once they are grilled, it is paired with complementary flavors of green chilies and avocados for a fun twist on your burger BBQ night! Mix ground beef, grated onion, and taco seasoning together. Make 4 burger patties and season both sides with salt and pepper. Grill burgers to desired temperature. Set patties onto buns and top with green chilies and sliced avocado. 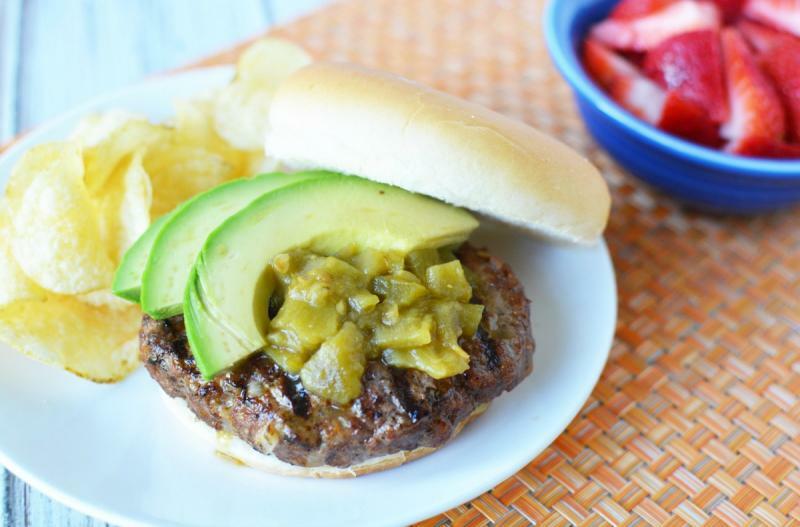 Serve Green Chile Burgers with fruit and chips. Mix 2 lbs. ground beef, grated onion, and 2 packets taco seasoning mix together. Form 8 burger patties. Put baggie in the freezer and freeze up to 6 months in fridge freezer or 12 months in a deep freezer. Thaw completely in the fridge before grilling the burgers. Top with green chilies and avocado, as directed. Recipe is gluten-free when served with gluten-free buns or in lettuce wrap. Thaw patties in the fridge, then grill to desired temperature. Serve on buns with green chilies, avocado slices and fruit and chips.